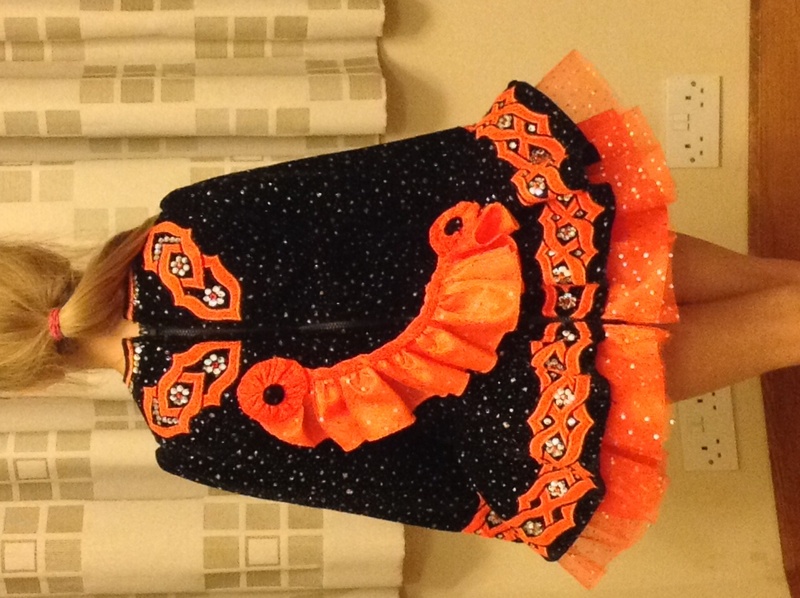 Beautiful black and bright orange irish dancing dress. Age 7-9. 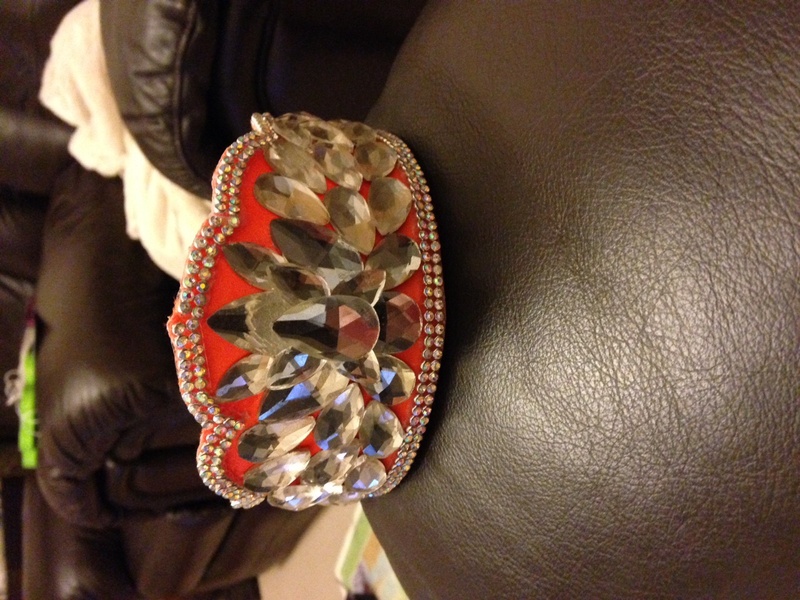 Black velvet material with silver sparkles. 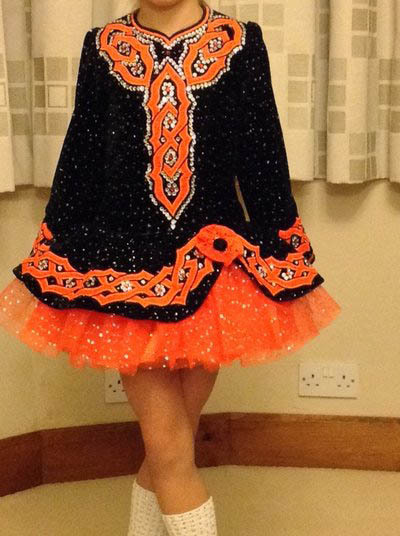 Orange celtic design. 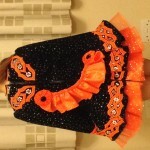 New orange, sparkling tutu recently added to dress. Full zip recently replaced. Lots of stones but some missing. Excellent condition otherwise. From Coventry. May be able to go to some feises in order to try on. Can take to London for the Worlds if needed. 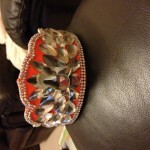 For over seas postage please contact me for price.